But that’s exactly what the U.S. Patent Office has allowed two inventors, Nicholas Hall and Steven Eakin, to do. Last September, the government proclaimed that Hall and Eakin are the inventors of “Methods and Systems for User Opt-In to Data Privacy Agreements,” U.S. Patent No. 10,075,451. The owner of this patent, a company called “Veripath,” is already filing lawsuits against companies that make privacy compliance software. With Congress and many states actively engaged in debates over consumer privacy laws, Veripath might soon be using this patent to extract licensing cash from U.S. companies as well. The next several claims go on to describe minor variations on this theme. Claim 2 specifies that the “enhanced function” won’t be available to other users. Claim 3 describes the enhanced function as being fewer advertisements; Claim 4 describes offering the enhanced function in exchange for a monetary payment. To say this “method” is well-known is a major understatement. The idea of exchanging privacy for enhanced functionality or better service is so widespread that it has been codified in law. For example, last year’s California Consumer Privacy Act (CCPA) specifically allows a business to offer “incentives” to a user to collect and sell their data. That includes “financial incentives,” or “a different price, rate, level, or quality of goods or services.” The fact that state legislators were familiar enough with these concepts to write them into law is a sign of just how ubiquitous and uninventive they are. This is not technology this is policy. Some background: Venpath, Inc., a company with a New York address that appears to be a virtual office, assigned the rights in the ’451 patent to VeriPath just days before the patent issued in September last year. As it happens, the FTC began enforcement proceedings against VenPath last September. The FTC’s complaint [PDF] alleged that VenPath’s website represented that “VenPath participates in and has certified its compliance with the EU-U.S. Privacy Shield Framework.” The FTC alleged a count of “privacy misrepresentation.” It claimed that VenPath “did not complete the steps necessary to renew its participation in the EU-U.S. Privacy Shield framework after that certification expired in October 2017.” The FTC issued a Decision and Order [PDF] requiring VenPath to remove the misrepresentations. In its lawsuits, Veripath claims that basic warnings about cookies on websites, a now-common method of complying with the GDPR, violate its patent. The lawsuit against Faktor notes that Faktor’s own website “might not work properly” unless a user consents to having her browser accept cookies. Veripath and its legal team argue that this simple deal—accepting cookie use, in order to visit websites—is enough to infringe the patent. They also claim that Faktor’s Privacy Manager software infringes at least Claim 1 of the patent, and facilitates infringement by others. The ’451 patent should never have been granted. In our view, its claims are clearly ineligible for patent protection under Alice v. CLS Bank. In Alice, the Supreme Court held that an abstract idea (like privacy-for-functionality) doesn’t become eligible for a patent simply because it is implemented using generic technology. Courts have struck down similar claims, like a patent on the idea of conditioning access to content on viewing ads. Even when a patent is invalid, defendants face pressure to settle. Patent litigation is expensive and it can cost tens or hundreds of thousands of dollars just to get through the early stages. To really protect innovation we have to ensure that patents like the ’451 patent are never issued in the first place. 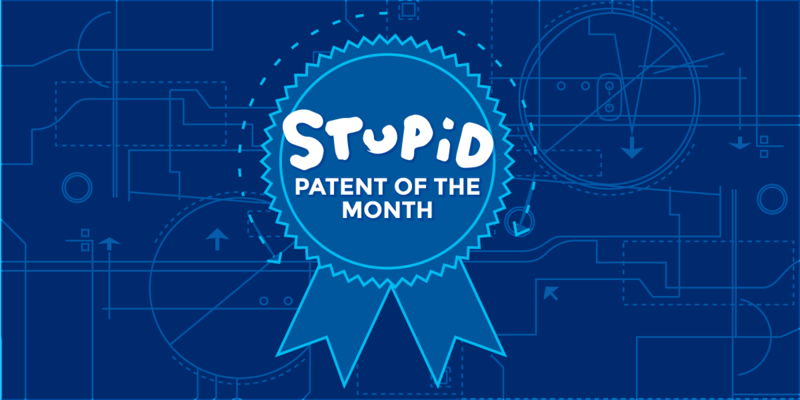 The fact that this patent was granted shows the Patent Office is failing to apply the law.